Details: Marathon Futurex is a commercial project coming up at Lower Parel, Mumbai. Marathon Futurex is an eco-friendly, green building structure, that has earned the coveted Gold category LEEDS-Precertification by implementing green building features. 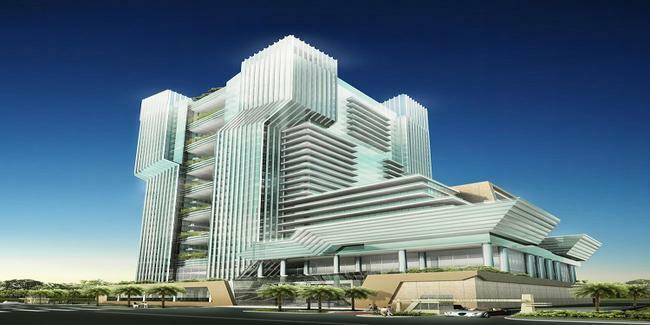 The green features include use of Low E-value glasses, energy efficient lifts, solar envelope study, low VoC materials. The Low E-value glass is an effective energy saving tool that allows maximum natural light to get in while keeping the heat out, thus enhancing efficiency of cooling units. The high speed elevators at Marathon Futurex are controlled by traffic management programs in a way, that they generate energy while they travel down and use the same energy while travelling up, thus saving power. The project is probably city’s first commercial building with over 15 sky gardens that enables the occupants to remain close to nature. The amenities include triple height entrance lobby, multiple high speed elevators, glazed facade, beautiful views, sky gardens, rain water harvesting, solar envelope design, etc. Mulund-Goregaon Link Road, Mulund (W), Mumbai-400080, Maharashtra. Park Site, Vikhroli (West, Mumbai-400079, Maharashtra.